Remember your childhood tree house? 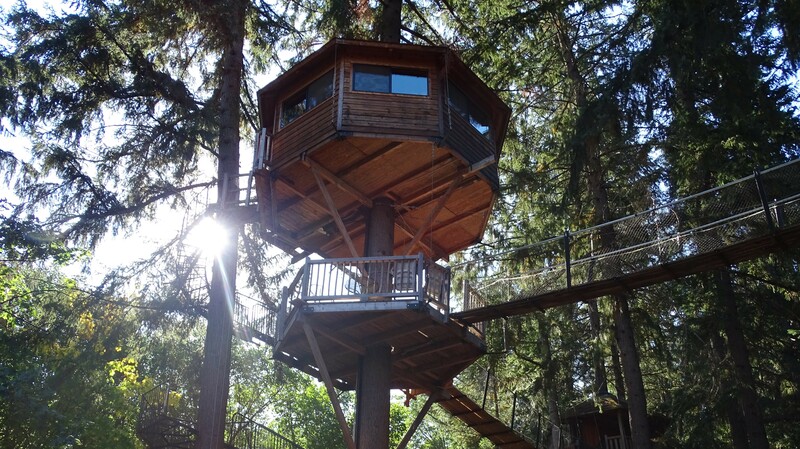 Let your inner child dream once more about living amongst the treetops. The bigger and bolder your plans, the better. Precision Structural Engineering, an industry leader in sustainable structural design, can help make your modern tree house dreams come true. We create custom home plans for treehouses to help you design a unique escape that is both structurally sound and kind to the environment. With our experience in green home design, PSE will help you build your childhood dream—a solid structure that’s environmentally friendly and happens to be nestled in a sturdy tree. Our residential structural engineers will utilize surrounding, native resources and materials for your tree house without excavating the area. PSE tree house designs are both innovative and beautiful. All you have to do is purchase a property with some sturdy trees and, of course, a breathtaking view to help you enjoy your new custom built tree house to the fullest. Our consulting structural engineers will work with you to create a tree house design that fits your needs. Like any custom home plans, we’ll discuss the number of bedrooms and bathrooms, room sizes, uses for each room, desired amenities, and more. We’ll even go over your favorite textures and what you like most about your environment. After all, building a tree house is about bringing the outside indoors. Since we are in the business of creating environmentally friendly home plans, our tree house designs will incorporate innovative technology and green building practices to ensure that waste is minimal and resources are used wisely. Let our structural engineers help create your vision. You can be an inspiration to your friends, family, and community when you call PSE and begin the process of designing your own custom built tree house. Out’N’About Treesort has many ultra-light cable bridges connecting the various treehouses.The bridges are of either the 2-cable or 4-cable variety, with longitudinal deck boards, and are supported by trees at each end. They are incredibly flexible structures owing to their lightweight construction and non-rigid anchor points. The purpose of this document is to record the structural geometry of all the cable bridges as of Fall 2009. These drawings are also intended to be the basis for any structural analysis and engineering calculations that may be completed in the future. All bridges have netting running down from the handrails around the bottom of the bridge over its entire length. While important for safety, it is not considered structurally significant. Shown profile is an average of the two sides of the bridge. Dimensions were numerically averaged while measurements were being taken. Vertical measurements were taken from a string level shown in light gray. Cable sag is approximated as a simple arc. The point of maximum sag was measured with a 180 lb observer load at the point, shown by the vertical line off the level line. All measurements were taken using a standard tape measure to a precision of 1 inch. Actual bridge span, deck elevations, and separation of top and bottom cable anchor points may vary up to 6 inches from dimensions shown due to difficulty in making those measurements. Bridge span is defined as the distance between supports such as decks or beams. Deck elevation is defined as the distance to the ground below each deck. Rectangles with crosses indicate dimensional lumber into the page. Empty rectangles indicate steel tubing into the page. Deck boards are usually not more than 12 ft long and are fastened to cross members with an assortment of 1/4″ carriage bolts, deck screws, and Timber Lock screws. All cables should be considered reasonably straight in plan view except where otherwise noted. Handrails are round timbers of shown size, fastened to uprights with 1/4″ U-clamps, and backed up by 1/4″ 7x19 aircraft cable (not shown).